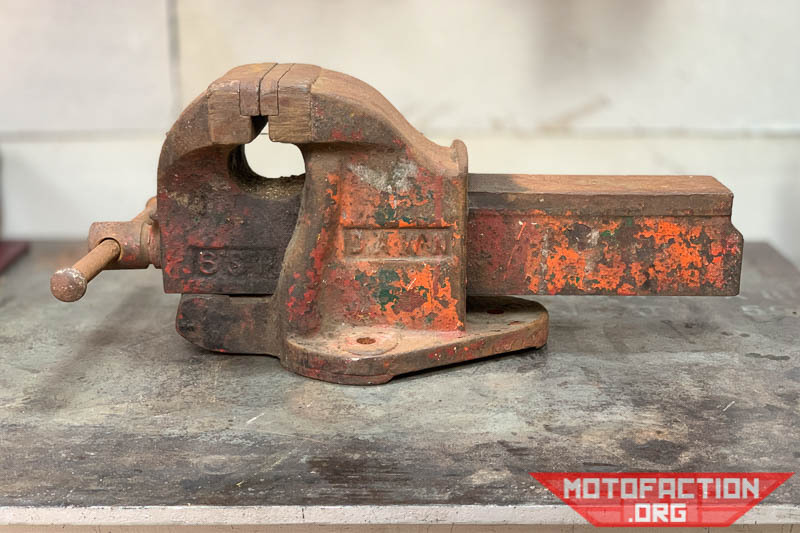 Today we are reviewing a used Australian-made Dawn vise - the 6SP, which is a 6" (150mm) jaw width standard pattern cast iron engineer's vice. 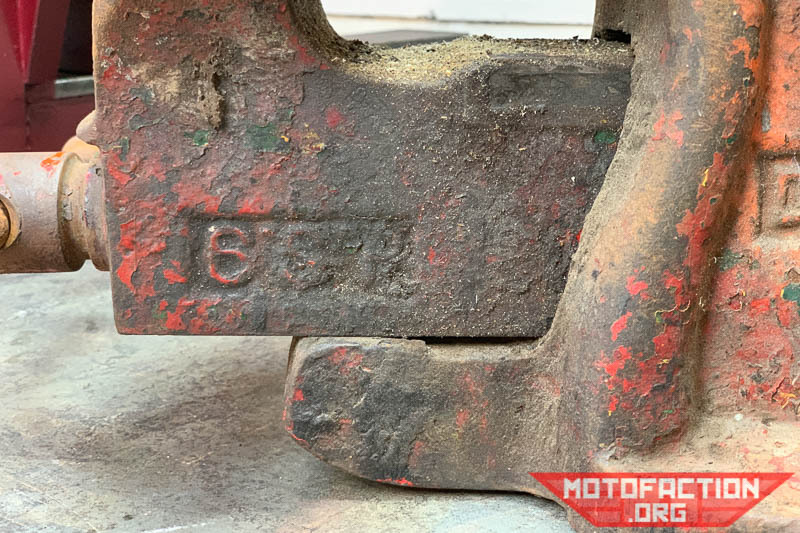 The 6SP has an alternate identifier as part number 9010. It is hefty, weighing in at a little under 33kg. The max opening is 7 1/2", or 190.5mm. 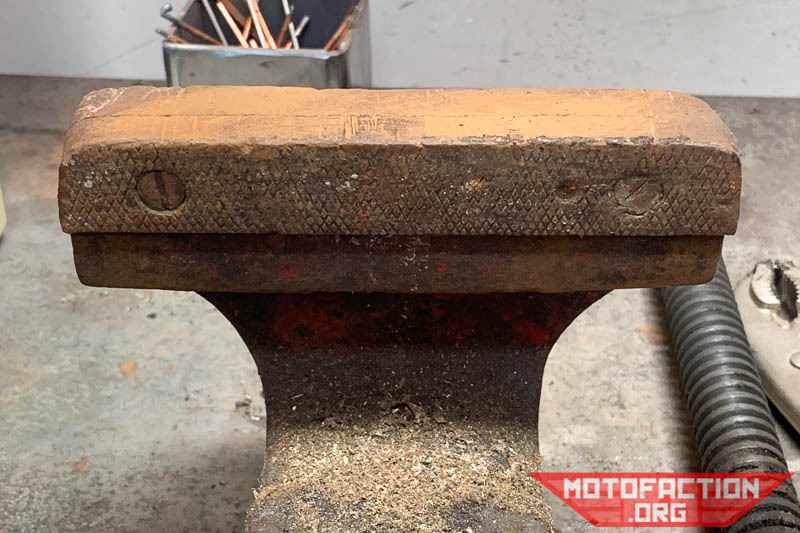 The handle is 15mm in diameter and 290mm end to end. Other than those items of note the vise was easy to disassemble. 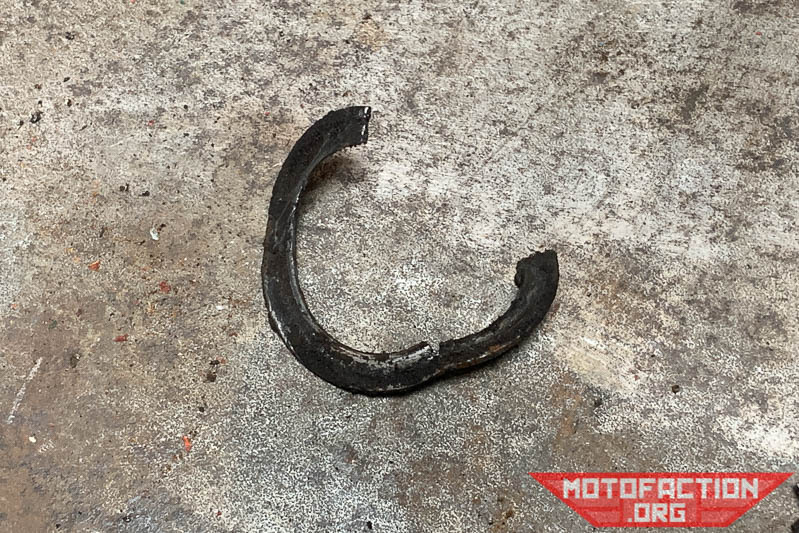 It was cleaned up with a 5" (125mm) twist knot wire wheel (eBay US, eBay AU or eBay UK) on a 1300w angle grinder ready for paint, cleaning up the old lube and re-lubrication. 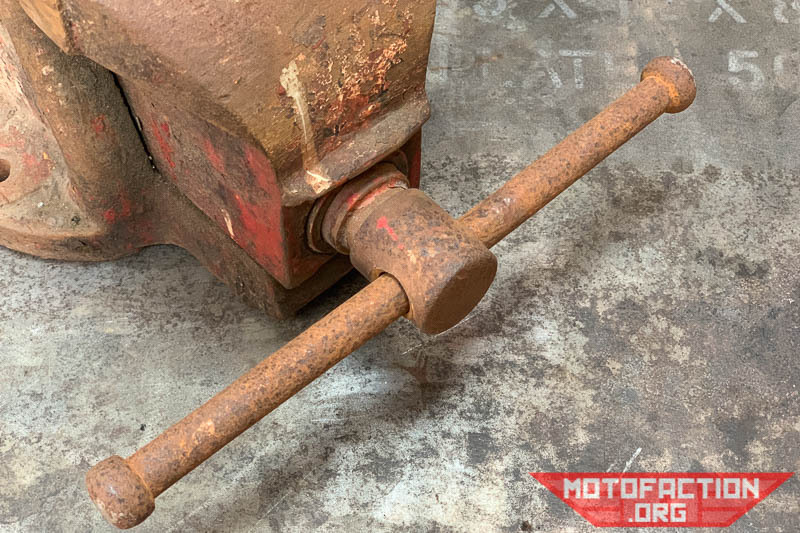 The same as the 5SP reassembly, I used two bits of 25mmx3mm flat bar cable tied to the screw on either side along with a sash clamp (eBay US, eBay UK or eBay AU) to press in the spring and allow for easy insertion of the split pin. 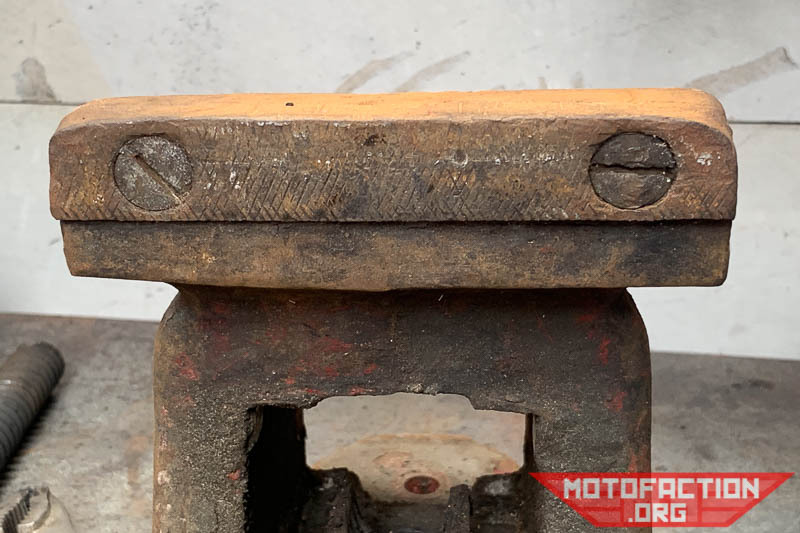 In use the vice clamps very solidly with smooth action throughout the entire length of the screw. 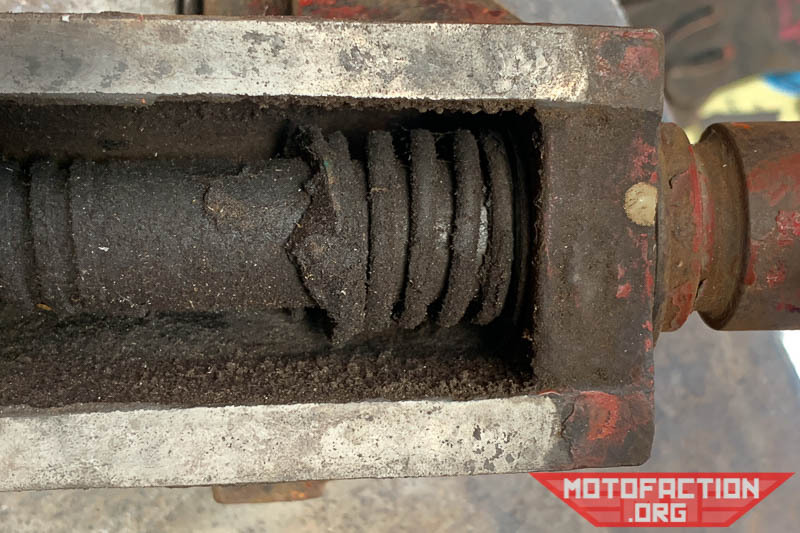 The main nut is removable - as has been the case with all of the Dawn vices we have seen so far - and the nut/screw are Acme threaded, which is a good strong thread suitable for this application. 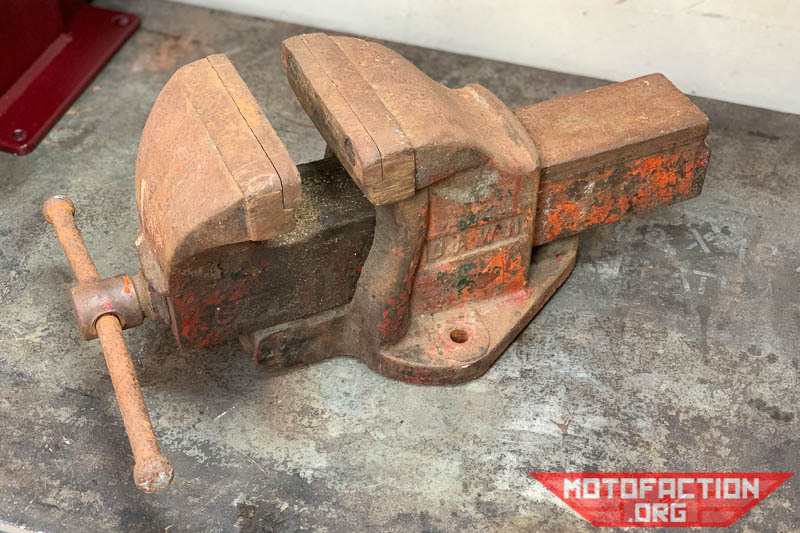 So, it clamps firmly, is pretty chunky and looks like it can take a beating - what's not to like about this used vice? 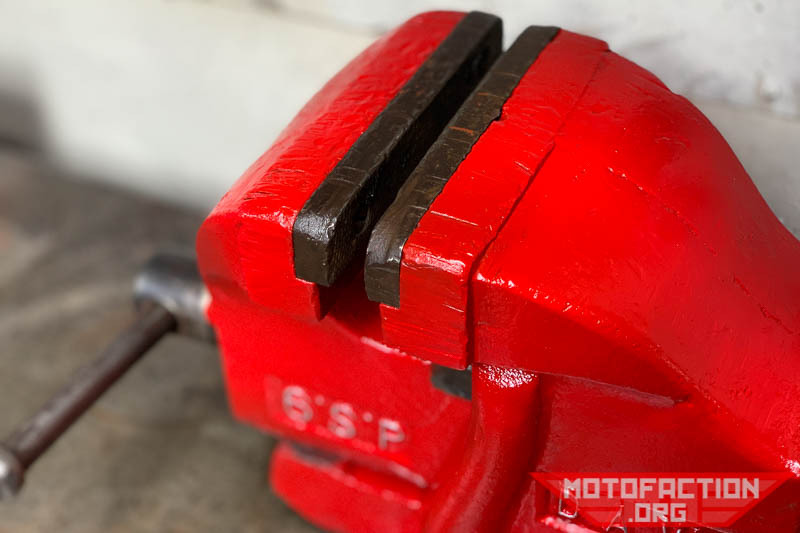 Well, for starters if you can't make your own jaws (even out of short lengths of mild steel flat bar) then you will want to ensure that you can source new ones. 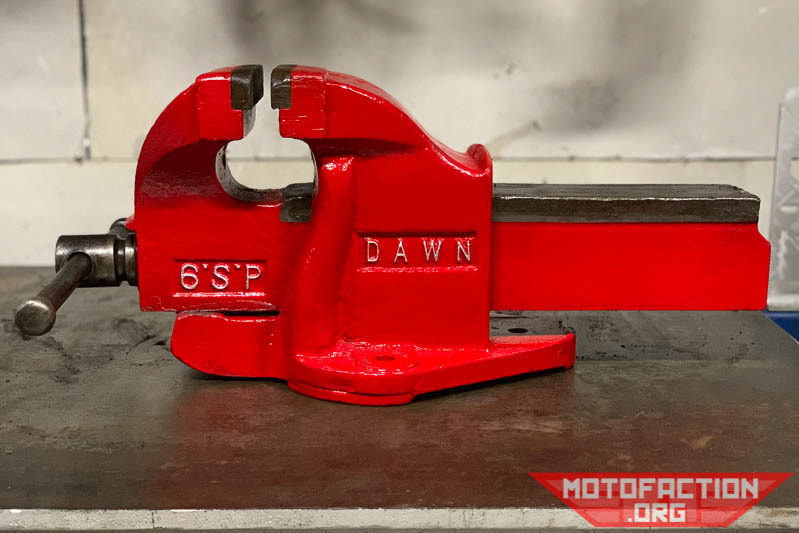 Dawn still sell jaws for their older vices - part number 65156 - but it would be worth emailing their sales team to enquire as to whether they will fit the vice you're looking at. In my experience they have been quick to reply when queried about a specific vice (usually requesting photos to ensure a correct response). 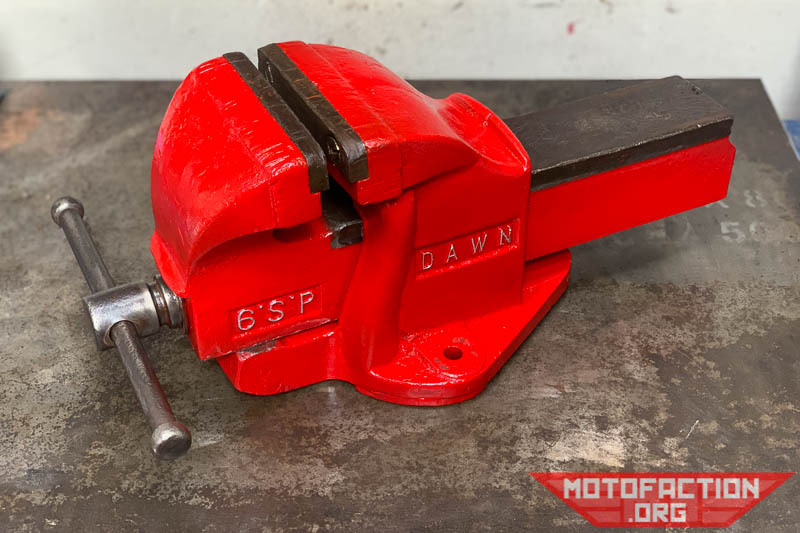 If you're in the market for a sizeable vice that ought to provide years of useful service, a used Dawn 6SP is worth looking into. 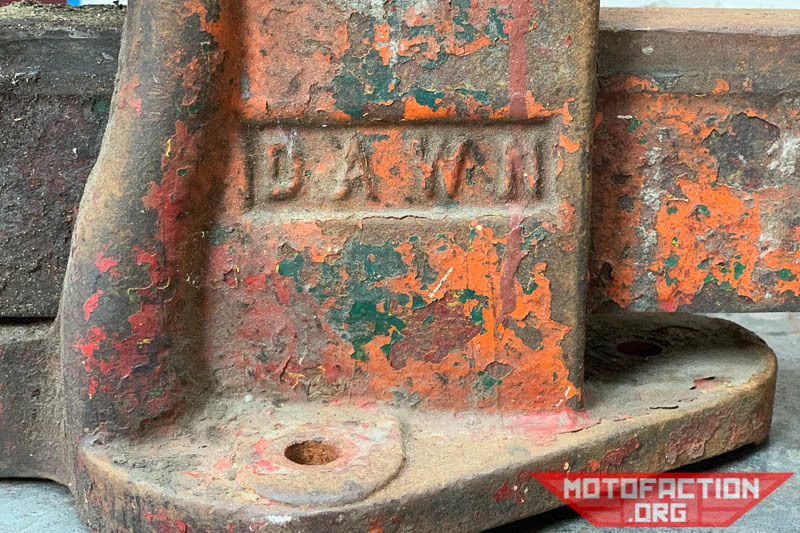 They can often be found for under $100 on the used market - check eBay for current pricing on Dawn vices. 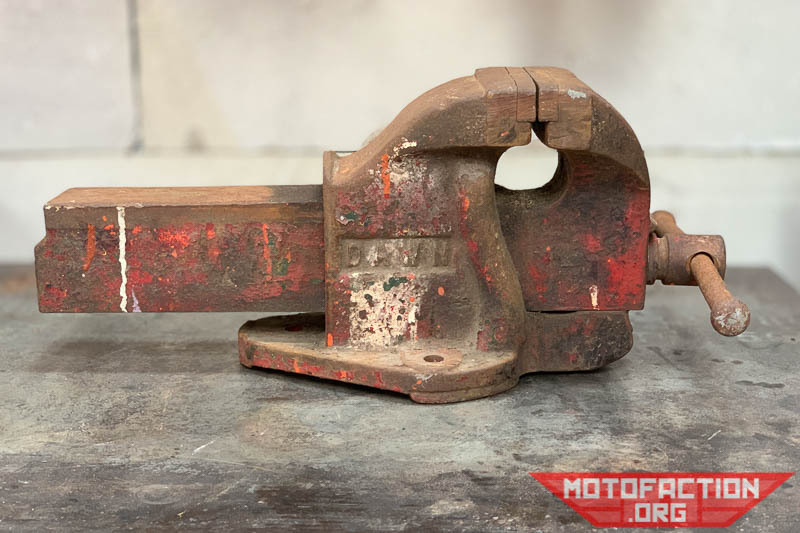 The equivalent new Australian made Dawn vice runs to about $430-450 new, so there's a pretty significant saving buying used if you're willing to assess the state of one.